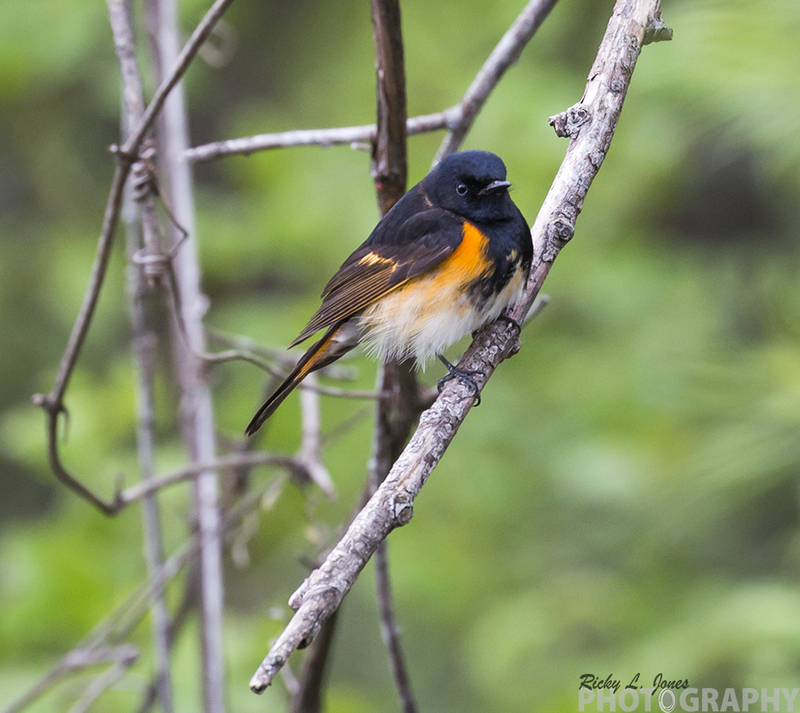 The American redstart (Setophaga ruticilla) is a New World warbler. It is unrelated to the Old World redstarts. It derives its name from the male's red tail, start being an old word for tail. he American redstart is a smallish warbler. It measures 11 to 14 cm (4.3 to 5.5 in) in total length and has a wingspan of 16 to 23 cm (6.3 to 9.1 in). Its length is boosted by a relatively long tail and it is one of the lightest birds in its family. Weight is considerably less in winter than in summer. Males weigh an average of 8.6 g (0.30 oz) in summer but drop to 7.2 g (0.25 oz) in winter, while females drop even more from an average of 8.7 g (0.31 oz) to an average of 6.9 g (0.24 oz). 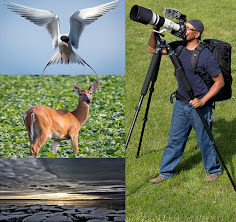 Among standard measurements, the wing chord is 5.5 to 6.9 cm (2.2 to 2.7 in), the tail is 4.9 to 5.8 cm (1.9 to 2.3 in), the bill is 0.7 to 0.9 cm (0.28 to 0.35 in) and the tarsus is 1.5 to 1.9 cm (0.59 to 0.75 in).